The Audi A5 has been one of the best selling vehicles in the Audi line. The combination of innovative styling and robust performance make this a household name in luxury. The new 2014 audi A5 Quattro has several impressive features as well as a few that may need improvement in the future. Many of the reasons for buying an Audi A5 are a result of enhanced engine performance and the integration of a high tech cockpit geared for any driver. The 2014 Audi A5 features a base 10 speaker system with mp3 and CD capability for a true surround sound experience. The Prestige model features an upgraded Bang & Olufsen sound system with a powerful 505 watts of sound in 14 speakers. HD radio and SiriusXM are optional capability in all models. This car does not skimp on powerful performance. The 220 horsepower 2-liter engine can provide up to 32 MPG on the highway and 21 in the city. The peppy 4-cylinder engine is reported as excellent in its class for EPA reports. The Audi Quattro system is infamous for its powerful all-wheel drive capacity. The 2014 Audi A5 is no exception. This model performs well under slick conditions, making this car an all-weather vehicle. The vehicle features base standard electronic stability control and traction control in addition to the all-wheel drive base. The anti-lock brake system(ABS) is sensitive to the distribution of power to the brakes to assist in any near collision for safety. The 2014 Audi A5 boasts an impressive range of engine options. The A5 premium coupe and turbocharged model features a 3.0 liter V6 engine as a base standard. It delivers a massive 333-horsepower. The RS5 model features 450-horsepower with a standard 4.2-liter V8 engine. The precise shifting of this Audi model gives it great power on the highway on extended trips. 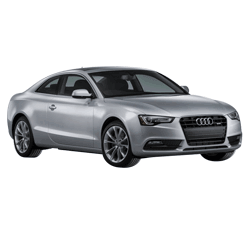 The 2014 Audi A5 has optional advanced warning and navigation systems in place to prevent collisions. In addition to the stability and traction control system, the Audi side assist uses radar technology to monitor traffic pattern to determine lane coverage. The A5 has excellent safety in terms of braking. The tracking system works in tandem with the ABS and disc brakes to keep the vehicle as straight as possible, which is important in hazardous road conditions. When it's a rainy day, the 2014 Audi A5 has all the bases covered. A standard rain and light sensor provides automatic control for windshield wipers and headlights based on the intensity of the rain. The upgraded Premium and Prestige models feature an upgrade heated windshield wiper fluid system to prevent any freezing in the cold. The 2014 Audi A5 features a responsive dashboard that can program music as well as navigation data. The optional Audi MMI Navigation system control many features of the car such as interior temperature and interior features such as heated seats. Audi came up with a single key that can remotely control the entry to the vehicle as well as start the engine. A touch sensitive door handle allows entry with the keyfob in proximity. The engine can be remotely started by keeping the key fob nearby. It is a truly keyless vehicle that offers enhanced security. The sloping grill and streamlined appearance are both functional and sporty. It combines a classical appearance that is proven to uphold resale value and appearance over time. The additional lighting looks sporty and adds incredibly functionality by eliminating glare and road fog issues. The advanced sports-tuned suspension makes the ride smooth as butter. A six-speed is standard for the 2015 Audi A5 quattro with an optional upgrade for an eight speed automatic transmission. The enhanced number of gear ratios allow for better fuel economy and precise handling for a sporty feel. Acceleration is 4.9 seconds for the base model and 4.5 seconds for the premium models. The base cabriolet model features a continuously variable transmission (CVT). Although the A5 has good acceleration for the engine, the full power is midway in acceleration. The CVT transmission on the Cabriolet model is the least desirable overall by reducing engine performance and power. The 8-speed or 6-speed configuration make up for this to some degree. The interior lumbar seating is quite comfortable. 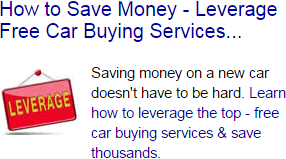 However, the overall look may appear spartan compared to newer models from other competitors such as BMW or Volvo. There is also a limited range of fabric selection to choose from in the models. The Audi A5 is a unique vehicle that borrows from a long history of the road-gripping reliability of the Audi Quattro line of vehicles. Many of the additional features will continue to be trends for future luxury sports cars. Consider test driving one today.